Before I start my post, i want to mention that I don’t always use the right names of people. For example. 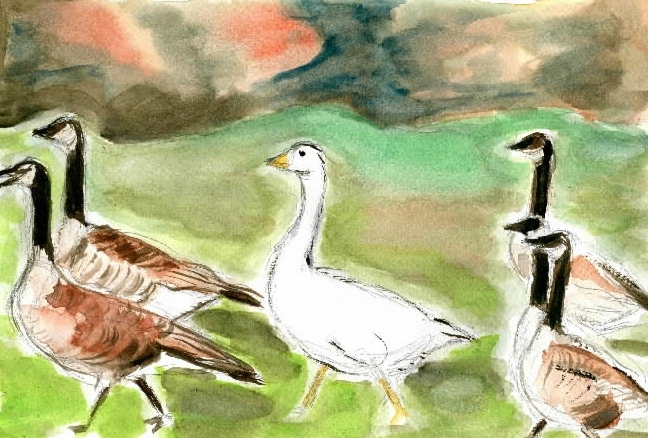 my first teacher’s name was not Mrs.Goose. My father could be very sarcastic. He didn’t seem to like my teacher and called her often “Dumme Gans” which meant “stupid goose”. As I stated in my post, she was definitely not stupid and I liked her. But I cannot remember her real name. At this point I will digress a bit more to show how miraculously life is interconnected often in strange ways. When I was twenty one years old I moved from the Golden West to the Wild West in Canada where I married Peter. For 10 years we lived in Alberta and then moved to this wonderful place Fauquier in British Columbia where we raised our five sons. 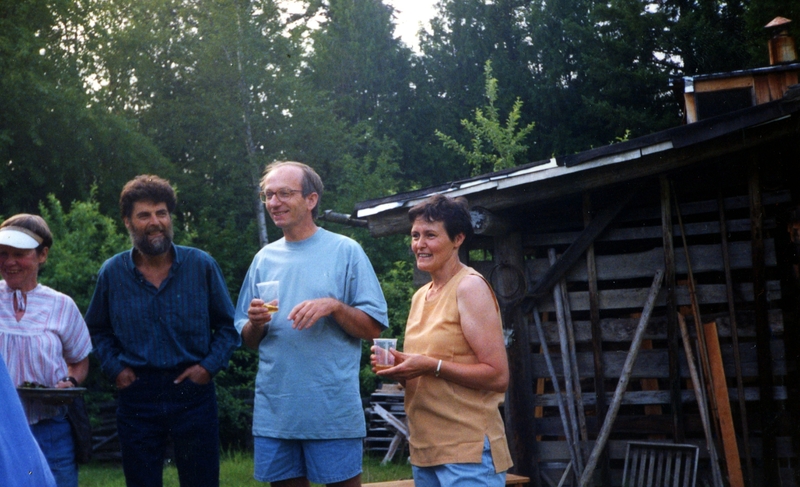 In Fauquier we became friends with Richard E. who had also immigrated to Canada from Germany, a few years before us. 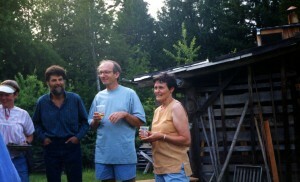 After the Berlin Wall fell, and Germany was reunited, Richard invited us to his farm to meet his pen pal Peter. Richard and Peter, who lived in former East Germany, had corresponded for many years without ever meeting each other. Now Peter and his wife Edelgard finally free to travel decided to meet Richard in person. They celebrated their 25th anniversary on his Apple Grove farm. Peter and I were quite surprised to find out that we were born almost at the same time in the same place. This is quite a coincidence since Germany is heavily populated and has a lot more towns and places than all of Canada. Peter still lives in Germany. When he started reading my blog he was all excited. He tried to help me with some research about my school in Gotha. He sent me the picture of the beautifully renovated school which I inserted in my post. He also tried to find out more about my first teacher, Mrs.Goose or Frau Gans. He had contacted the principal who was distraught that he could not find any records or information on this teacher. “Our records from that time are a bit sketchy”, the principal had apologized. Hmmm…years from now, what nickname do you suppose our students will have for us?